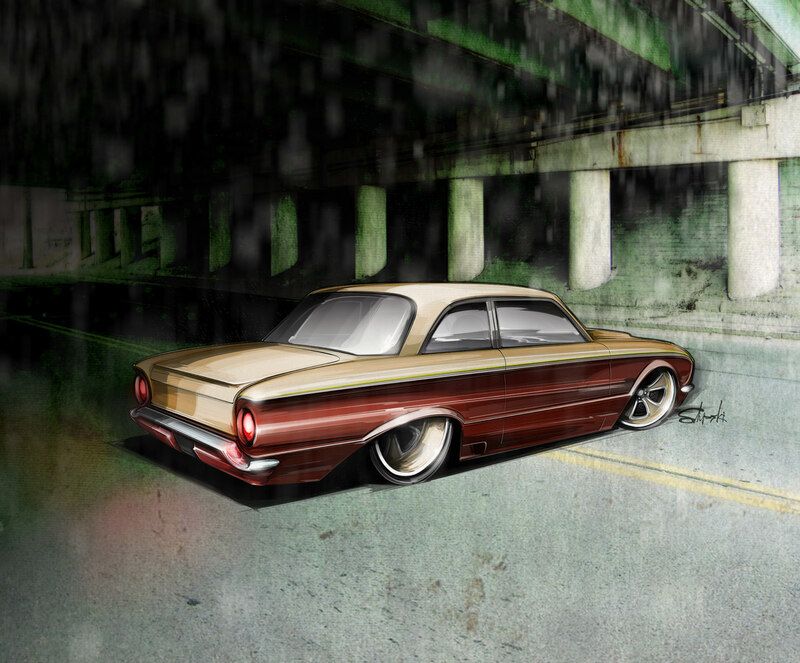 Design concept rendering for a customized project vehicle. 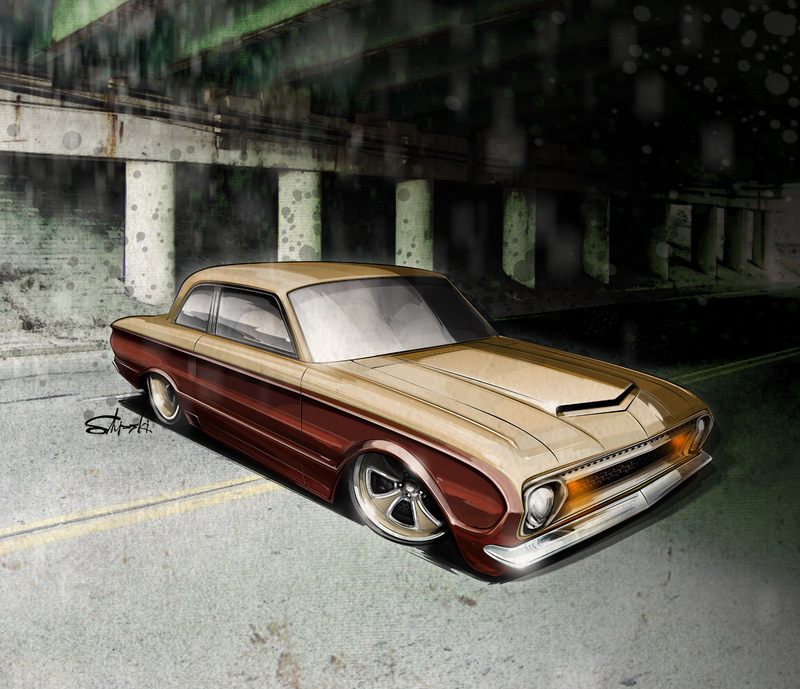 Design concept renderings for a '62 Falcon project. Full-custom car. Altered proportions to create a sleeker, more aggressive profile and stance by chopping the top, enlarging the hood scoop, re-working the grille shell, insert, bumpers and lighting. Also enlarged and moved the wheel openings to better suit the road-race feel my client was looking for. Mixed-media work, starting with pencil sketches, color-blocked in Illustrator, lighting and shadows in Photoshop, final detail with pen, ink and airbrush.